A trail becomes braided when users start avoiding the muddy and or wet areas and create a new trail, trails off to the side of the existing trail. An example of a braided trail. 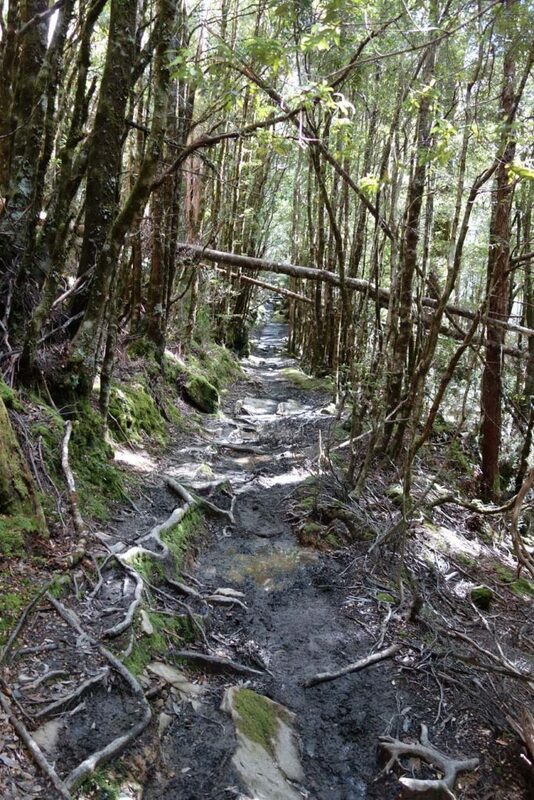 The main trail is on the right hand side of the image with the mud clearly visible. In an attempt to avoid this muddy area hikers have created a new trail on the left. In very bad areas there will be multiple areas on both sides of the track. This behaviour creates damage to environments that are often very fragile.